Fletcher Mangum is the founder and CEO of Mangum Economics and is based in Richmond. He serves on the Governor’s and General Assembly’s Joint Advisory Board of Economists having been appointed by Virginia Governors Bob McDonnell (2010), Terry McAuliffe (2014), and Ralph Northam (2018). He is also a past president of the Virginia Association of Economists and serves on the board of the Virginia Council for Economic Education. He has nearly three decades of experience in quantitative analysis and policy development at both the federal and state level. Mangum Economics encompasses more than two decades of experience in the economic analysis of public policy at the state and national levels. The firm has expertise in assessing the economic consequences of proposed regulations and government policies, economic impact assessment, workforce issues and economic development. Beth Deatherage is Vice-President/Director of Accounts for Momenta. Her endless enthusiasm and positive attitude will infect you. As Director of Accounts she manages your project through to completion as quickly as possible, ensuring that you get the results you expect in a timely fashion. Founded as a one-person operation located in Martinsville, Virginia, Momenta scaled itself up using the resources that are available in Virginia to nurture small companies. After graduating from the West Piedmont Business Development Center, Momenta grew to a full-service firm offering graphic design, custom web development and marketing solutions. Since 1996, ExecutivePulse Founder and President, Laith Wardi, CEcD, has provided business retention and expansion (BR&E) certification training for the International Economic Development Council (IEDC). Laith is also an instructor for the University of Oklahoma's Economic Development Institute (OU EDI). He provides instruction for their online BR&E course which dovetails with—and expands upon—the IEDC’s curriculum. Laith also provides instruction for state-level certification programs in Alabama, Arkansas, Ohio, and Tennessee, just to name a few. His training is consistently rated as excellent by both sponsors and participants. To empower and support economic developers, public-sector agencies, and community stakeholders, ExecutivePulse created an unparalleled customer relationship management (CRM) system that makes building better cities easier. Since 1995, we’ve been intimately involved in the economic development industry, first as practitioners, and now as consultants and technology providers.Business retention and expansion (BR&E) is the most critical and cost-effective component of any economic development strategy. ExecutivePulse helps industry veterans and up-and-comers understand best practices, examine emerging trends, and implement cost-effective solutions. Deborah is an Economic Development Program Manager in the Marketing and Business Development Division of Draper Aden Associates. Draper Aden Economic Development assists with a variety of tools and skills including a comprehensive knowledge of local conditions, processes, and requirements; working relationships with key regulatory agencies and regional service providers; and a “big picture” regional focus. The Draper Aden Economic Development team has helped with some of the largest economic development projects throughout the Commonwealth of Virginia using a variety of design methods. Neal Barber’s professional career is devoted to improving the conditions of communities with a particular emphasis on distressed areas. He provides a range of assistance from strategic planning and futures scenarios to specific project management. 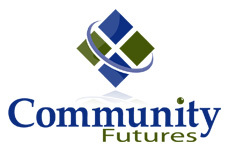 Community Futures provides expertise to local and regional community organizations in areas of community development, economic development, housing, and sustainable development. Akins was born and raised in South Arlington, Virginia and Africa is where the seed of his creative artistry was sown. It is the place where his love of imagery and photography came to manifest. Not a day went by that didn't lend itself to producing the most beautiful and provocative photographs. At that moment, he realized that he wanted to document and create art through photography. It would take another ten years for this dream to come to fruition. But it happened. He loves photographing people, entrepreneurship, tea, traveling, rugby, football and chilling with family and friends. Carrie, founder of the Shenandoah Valley-based consulting firm, closes the gaps among the public, private and nonprofit sectors. She leverages a strong statewide network and over a decade of experience in government, business and nonprofit leadership roles to help businesses. It is Valley Pike Partners' statewide mission to help companies, communities and organizations thrive in Virginia. Kimberly McKay is co-owner of Precision Insights, LLC. They offer high-quality data analytics products and services to small business, non-profit, and government clients. She has a passion for communicating data and information in a format that can help guide leaders to add value to their companies and organizations.